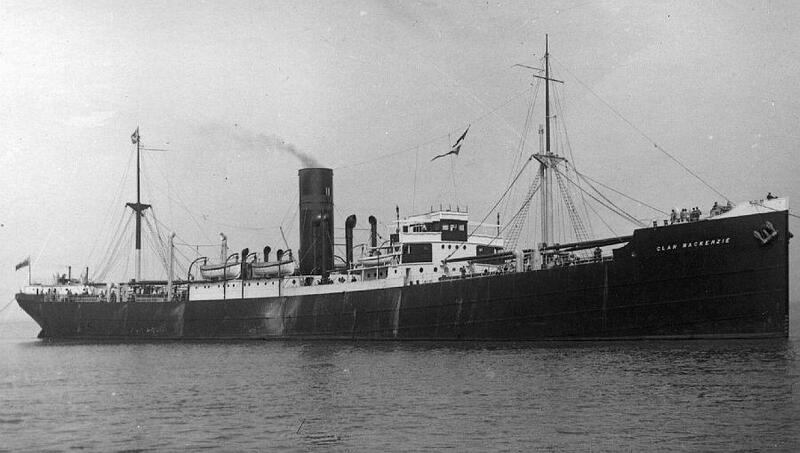 On 23rd Oct.1937 she collided with the S.S. MANCHESTER REGIMENT off Liverpool and stranded off Newcome Knoll on voyage Liverpool - East London, South Africa. Refloated and sold for scrapping. 5th Mar.1918 bound for Philadelphia, she was torpedoed and damaged in the English Channel off St. Catherrines Point by German U-Boat UB.30. 82 crew were taken off by the destroyer HMS GARLAND but. 6 lives lost.